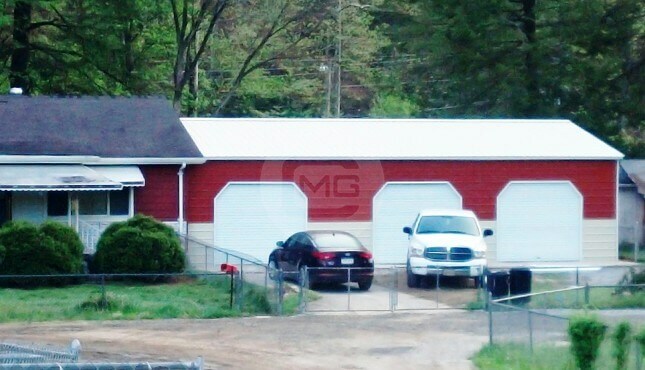 The garage shown above has measurements of 20’W x 25’L x 9’H. 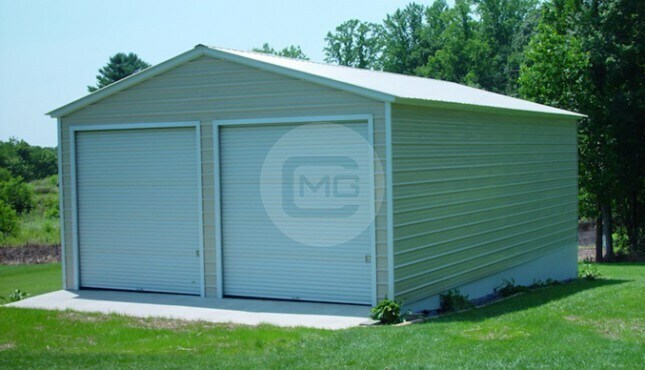 It is fully-enclosed and features two 8’x8’ roll-up garage doors on the front, one standard (36”x80”) walk-in door on the side, and a vertical roof. 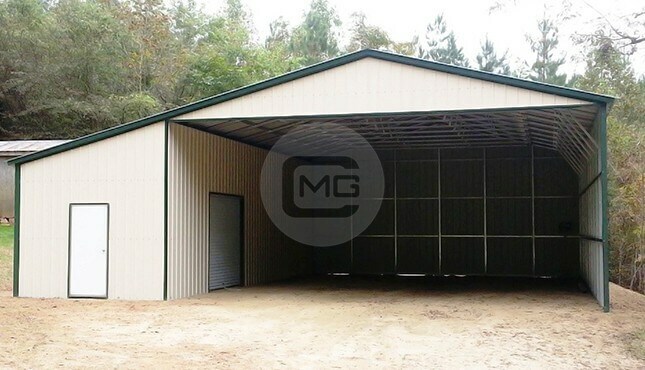 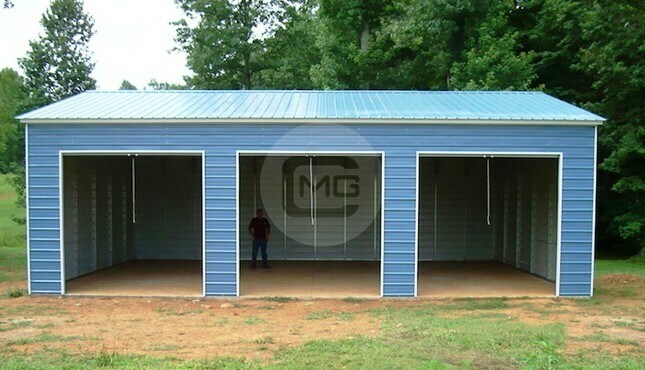 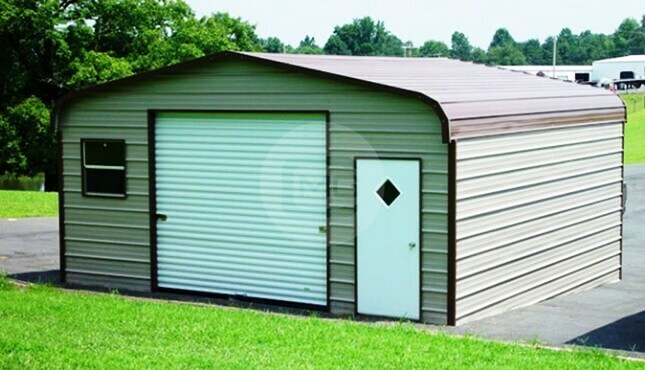 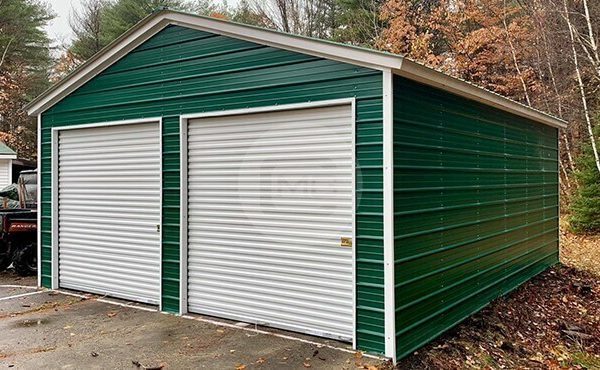 This garage is perfect if you have two vehicles to protect from the weather elements; on the other hand, if you only have one vehicle, you can use the extra space for multiple purposes. 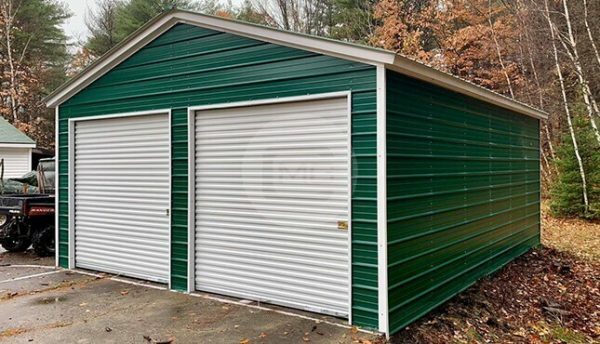 You could store yard sale items, hunting or fishing gear, toys your kids never play with anymore, or maybe those Christmas presents you need to hide! 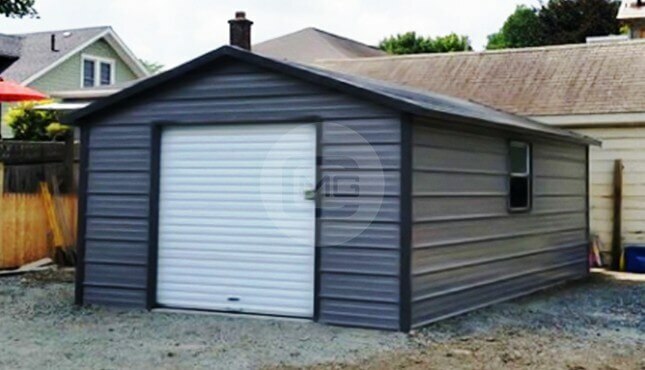 Please keep in mind that while we do provide FREE delivery and installation, we DO NOT provide groundwork, concrete, or site preparation. 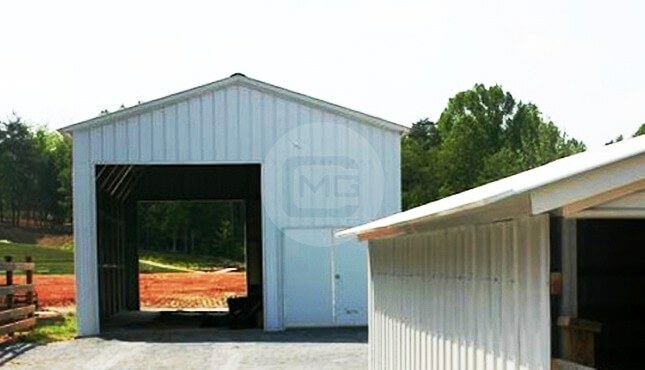 Prior to the scheduled date of delivery, you must clear your site of any debris or vegetation and have it leveled. 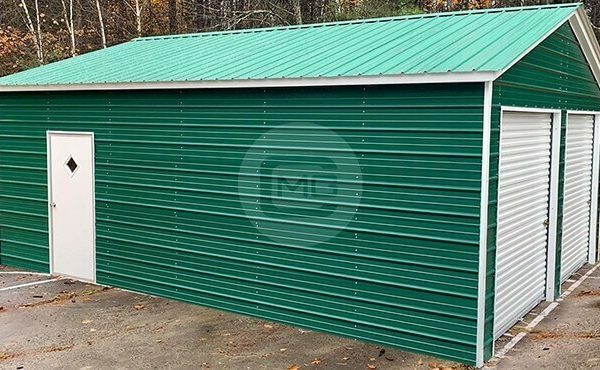 For additional information, you can give one of our friendly, knowledgeable building specialists a call today at (980) 321-9898. 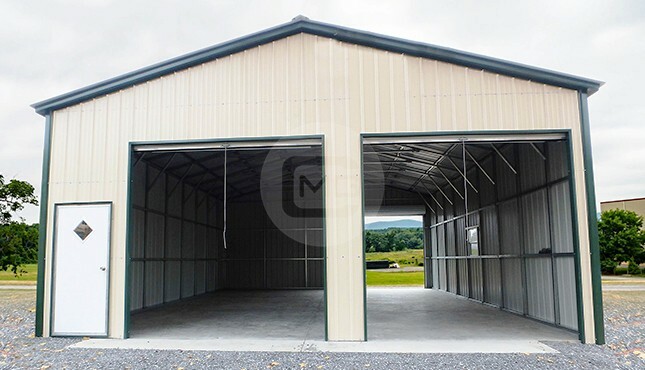 Let us help you find your dream building!